Something is missing here…the nouns! 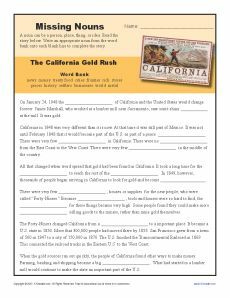 Your student will fill in the blanks in a story with nouns from a list. It’s helpful for practicing Common Core Standards for Conventions of Standard English for 3rd grade. Other students may also use it as needed.